38th match of ICC worldcup 2015 has been played between England and Afghanistan at Sydne Cricket Ground today. Rain interupted match finaly went in favor of England. Earlier Afghanistan made 111/7 in 36.2 overs. Rain delayed the match and England got 25 overs to play with 100 runs target. England successfully chased given target having lost just 1 wicket in 18.1 overs and won the match by 9 wickets. 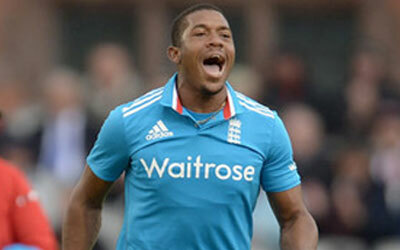 IR Bell played good inning of 52* runs for England and gave England win by 9 wickets. Chris Jorden declared man of the match for his tight bowling figures. He picked-up 2 wickets in his 6.2 overs spending just 13 runs.